The Museum of Art and History (MAH) will partner up with the Santa Cruz Wharf in celebration of its 100th year anniversary, kicking off the centennial season with a community-interactive “pop up museum” beginning Oct. 12. Similar to a potluck, the event encourages all Santa Cruz residents to bring and share their own personal trinkets — photographs, artifacts, etc. — related to the wharf and its long history. Historian and writer, as well as fellow City on a Hill Press alumnus, Geoffrey Dunn played a major role in coordinating the event along with wharf supervisor Jon Bombaci and Santa Cruz community programs coordinator Nora Grant. Dunn and Bombaci are a part of a larger centennial committee — the principle organizers of the general 100th anniversary celebratory event — while Dunn is also a part of the MAH team alongside Grant. The committee specifically teamed up with the MAH to host the pop up gallery. Their contributions to this upcoming celebration aim to garner excitement from the community and inspire people to both discover and share their own history with the waterfront. Besides being a part of the centennial committee, Dunn will also be providing his own personal photographs related to the wharf, acquired from his family’s long involvement with the waterfront — a visual history accumulated through an impressive six generations. Bombaci said that Dunn’s contributions will catch every visitor’s attention. All three organizers shared their personal relationships with the wharf. A young Bombaci had a deep appreciation for the wharf even before officially working for it. On the wharf, he caught his first fish and had his first date with his wife. Santa Cruz community programs coordinator Nora Grant also recalled fond memories of her own experiences as a child, taking annual trips to Riva’s Fish House restaurant with her grandmother. Besides the influence Dunn’s family has had on the wharf, his own life work was greatly influenced by the waterfront, inspiring his film and writing projects. The wharf was a coming-of-age experience, he said, both as a young boy and as a young adult. 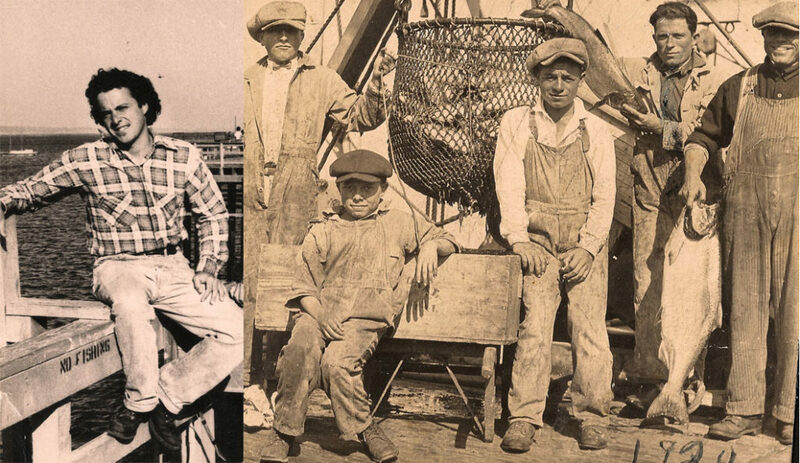 These histories no doubt exemplify the love and appreciation for the wharf that surely resonates within each and every member of the community, old and young. A turnout of 100 to 200 people is expected at the pop up gallery, although this is a rough estimate, Grant said. In addition to this expected tunrout, a lot of press will be released, Bombaci said, further elevating the importance and grandeur of the city’s wharf and its history. Everyone is encouraged to come out, support and have fun near the ocean.